There's no better subject to write a song about than love, whether you're in it, out of it, regretting it or longing for it. 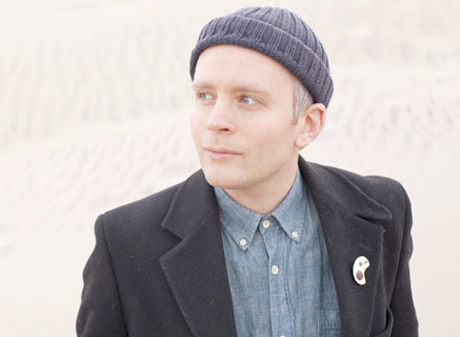 Swedish singer-songwriter Jens Lekman wasn't planning on writing an album about it, especially one based on his break-up. In fact, he was purposely trying to avoid doing it. But when it came time to write his long overdue third full-length, the Gothenburg native kept thinking about his failed relationship. Five years after Night Falls Over Kortedala, Jens has returned with his most personal record yet in I Know What Love Isn't. The wittiest pop wordsmith since Steven Patrick Morrissey, Jens was born to tackle heartbreak. He does it best using metaphors, like recognizing the exact moment where he fell out of love on "Some Dandruff On Your Shoulder" or hoping to trade in his sad, worn-out shoes for some shitkickers on "I Want A Pair of Cowboy Boots." Reacting to Kortedala's grandiosely textured, sampledelic production, he's simplified the arrangements, finding satisfaction in subtraction, best heard on the forlorn "She Just Don't Want To Be With You Anymore," which employs an egg timer for percussion and a weeping sax sample from obscure band Paninari. Jens may have kept us waiting longer than we wanted, but by taking his time and falling in and out of love he ended up with I Know What Love Isn't, an album worth waiting another five years for.